When using a WordPress qTranslate-X plugin on a website, you might also want to translate permalinks (also known as slugs). Currently, qTranslate-X doesn't support this feature, but we can use other WordPress plugin named qTranslate Slug that does exactly that. In this article, we will explore the widget and the settings available for qTranslate Slug. Finally, we will examine, how to use it. The qTranslate Slug plugin is an add-on for mQtranslate and qTranslate, both of which are now deprecated in favor of qTranslate-X plugin. With this add-on, we can translate permalinks (slugs) for posts & pages. Warning: Personally, I haven't had any issues with this plugin, but in official qTranslate-X FAQ page, it says that using qTranslate Slug in some configurations is not safe and that you might end up with some problems. Therefore, consider making a backup before trying to use it. Let's examine this addon in a little more detail. Note: In this tutorial, the qTranslate-X plugin has two languages enabled, the English (default) and a German language. We can find settings for qTranslate Slug by going to Dashbord > Settings > Slug options. In the above screenshot, the post type named books has been registered (using the code below), so the translation fields are available for it. 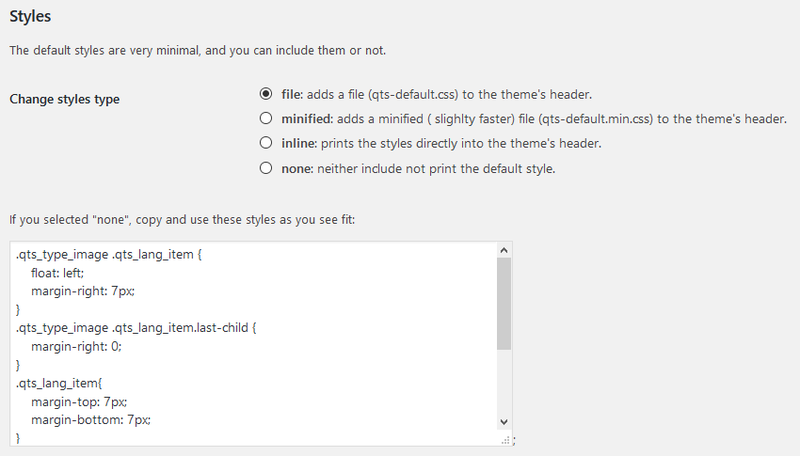 For more information about registering post types, check the Codex page for register_post_type function. 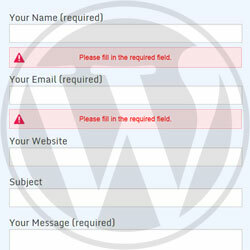 When no post types are registered, the post type option in the settings will contain no fields. Change the way how the CSS styles for the qTranslate Slug "Flag Switcher Widget" are added. If you are already using qTranslate-X Flag switcher, we don't need these styles and can turn them off by choosing the last radio button none. The widget is very similar to the one from qTranslate-X, except it doesn't have the option for custom list format, so I prefer to use the qTranslate-X widget instead. 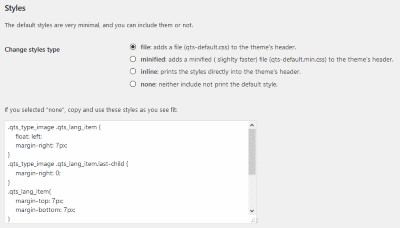 Note: If you want to customize the language menu from qTranslate-X plugin and show custom image flags, check my other article How To Customize Image Flags For Language Menu. And now finally, let's explore, how to use the qTranslate Slug add-on. And this is it. The permalinks will get translated to the currently selected language, so we are done. With qTranslate Slug plugin add-on for qTranslate-X, we have the ability to translate permalinks / slugs for pages and posts in our multi-language website. In this article, we explored the various settings and widget and then we looked into how to use the add-on.